Missing most of last season with an injury, Enrique Vincent was able to sneak up on other wrestlers to win the district title. As the No. 1 seed this year, Vincent is determined to make sure the same thing doesn’t happen to him. Vincent will enter the district tournament at McKay on Feb. 2-3 undefeated at 126 pounds in league duals this season. He expects Ethan Tyler of West Albany and Luke Merzenich of Sprague to be his toughest competition. At 160 pounds, Brayden Ebbs will also enter the district tournament undefeated, but did miss two duals, Forest Grove and Sprague, with a concussion. “I’ve had a few big wins and I feel very confident going into my district tournament and I intend to win it,” Ebbs said. His toughest match came in a 6-4 win over David Rubio of McKay. McNary freshman Grady Burrows hasn’t lost at 106 pounds but didn’t wrestle in the Celtics final four duals against North Salem, McKay, West Salem and West Albany. Logan Basham of North Salem and Bollong Joklur of Sprague are the other wrestlers to watch at 106. 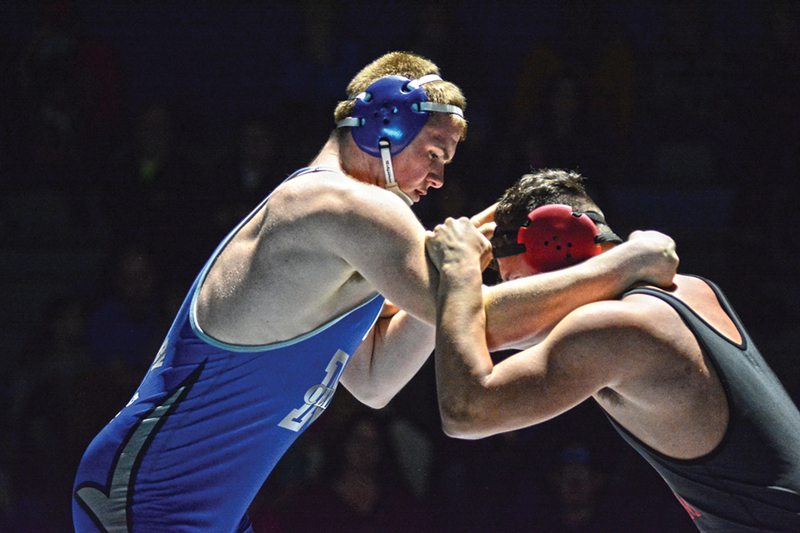 McNary senior Blake Norton went 7-1 at 220 pounds with his only loss coming to Jacob Luna of Sprague. As a team, the Celtics finished third in the Greater Valley Conference this season at 5-3, behind West Albany and Sprague. McNary placed seventh at the district meet last year, finishing only three points out of third. Head coach Jason Ebbs projects this year’s tournament to be just as tight. “Our league has a lot of parity and everybody’s got their strengths and weaknesses,” Ebbs said. McNary is expected to fill 23 of 28 spots at the district meet. Wrestling begins Friday at 11:55 a.m. and then resumes Saturday at 10 a.m.
Third/fourth and fifth/sixth place matches will start at approximately 3:30 p.m., followed by championship finals at 4:30. The top four from each weight class advance to the state tournament on Feb. 16-17 at Veterans Memorial Coliseum in Portland.